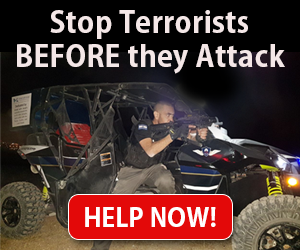 Bring Passover Joy to Israeli Soldiers! Needy Israeli Soldiers and their Families. Share Holiday Joy! Our Passover Partners project connects you with the heroes of Israel who defend our freedom every day. 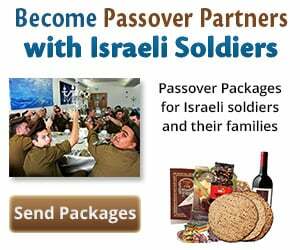 Join us in sending Passover packages and holiday greetings to IDF soldiers and their families. Along with your gift, include a personal message of support and encouragement, so greatly appreciated by the soldiers. Many soldiers come from families that are needy. Matzoh, wine and other Passover essentials are needed to properly and joyfully celebrate the Holiday of Freedom. Show your support for our freedom fighting soldiers by sending them home with special packages for Passover. The Passover Miracles of Unity and Mutual Respect!